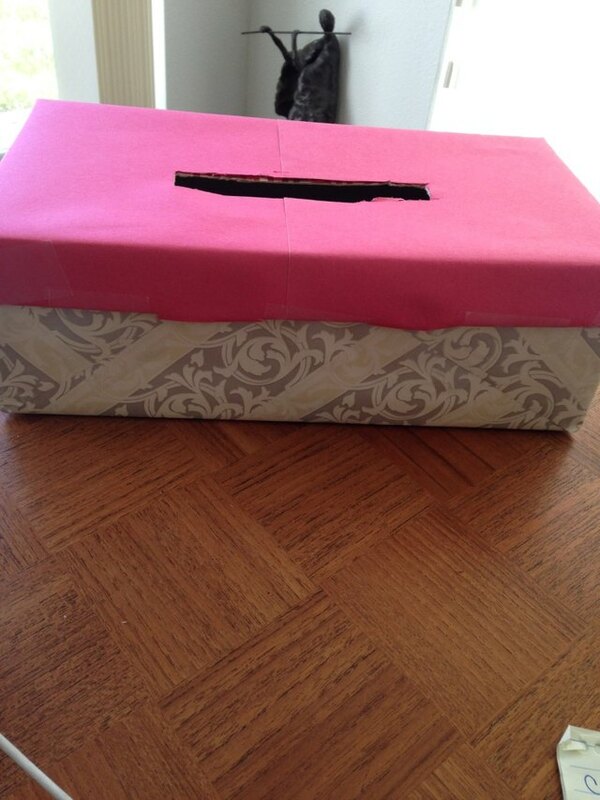 For school Valentine's Day parties, students are often asked to decorate a shoebox at home to collect their cards. This is an opportunity for you to supervise and share in your child's creativity. 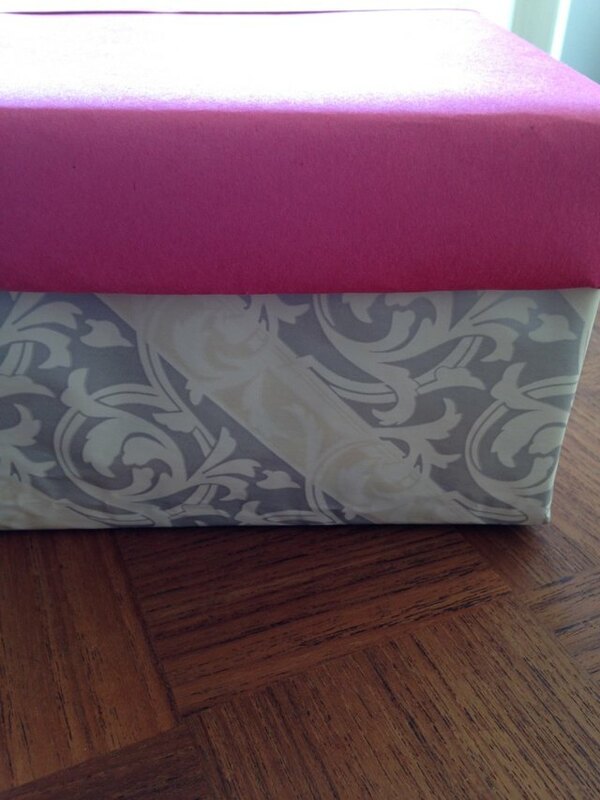 Cut a sheet of construction, wrapping or tissue paper that is wider by 1 to 2 inches than your box on all sides. 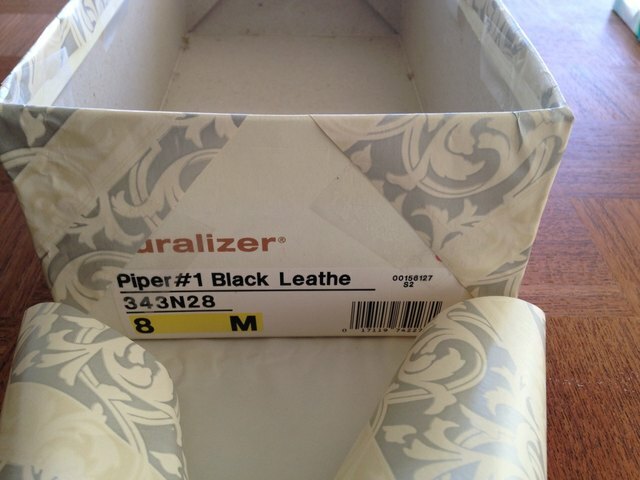 Use double-stick tape or rolled pieces of tape and place on the bottom of the box. Center the bottom of the box in the middle of the paper so it won't slip. 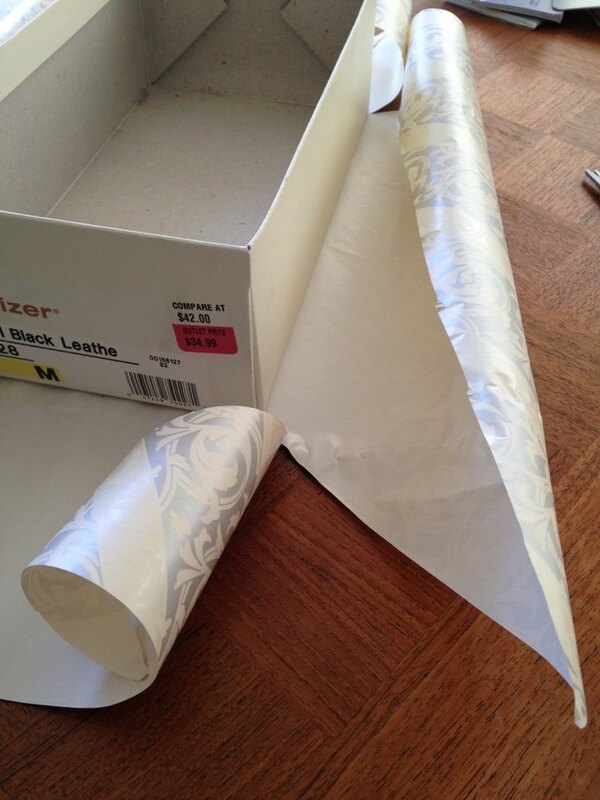 Cut toward the corner of the box from each corresponding corner of the wrapping paper. Fold the two long, opposite sides inward and tape, starting by taping the slanted outside edges of the paper to cover the outside edges of the box. Then fold the rest and tape it to the inside of the box. Repeat the same step with the two shorter edges of the box. If there is too much of an edge, cutting off the excess is easy at any point before being taped to the inside of the box. Better to have too much of an edge than not enough. Follow the same procedure to cover the lid of the box. Using a different color of paper for the lid is a nice variation. Using a pencil draw out a card-sized slot on the top of your lid. Use scissors or a sharp blade to cut this piece out of the box. An adult needs to complete this step for younger children. Older children must be properly supervised while handling scissors or a blade of any sort. Hand-letter the child's name on the top of the box. Cover the sides with paper hearts. Cut the letters of the child's name out of a contrasting color of paper and glue it on the lid. Lightly run a glue stick across the top and sides of the box and then sprinkle with glitter before adding hearts. Let your child decorate the box using markers or crayons. Cut hearts from lacy doilies and glue them onto the box. Anything goes here as long as it suits your child and the Valentine's Day theme. One possible variation is to use wrapping paper designed for weddings; some wedding wrapping paper contains lovely hearts and swirls that can make a great Valentine's Day background.